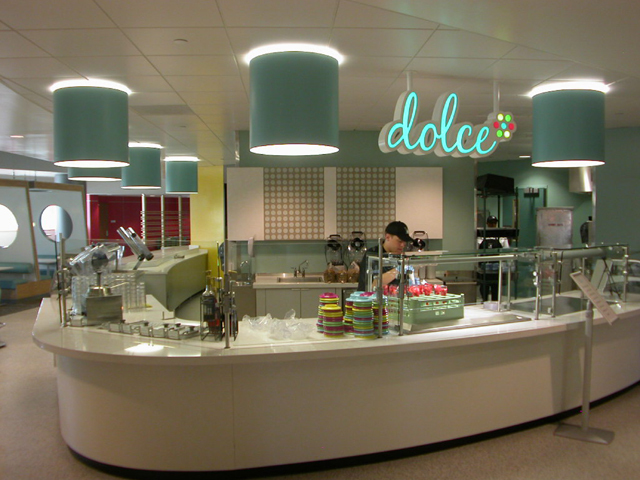 Dining halls conjure different visions for different generations, and the gap between them is certainly widening. Students from the ‘70s and ‘80s probably picture a nondescript cafeteria similar to that of a high school lunchroom, serving one or two options, made with quantity in mind rather more than quality. A salad bar was as exciting as it got. Today, more Americans are going to college than ever before. Competition for students is a growing challenge across the board. Because of this, colleges and universities are stepping up their game with campus renovations with added amenities designed to attract the best and brightest each fall. 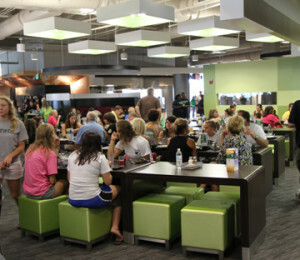 Today’s student dining facilities are much more than big boxes where students show up and eat what is served. Students now expect not only convenience, but also the variety and quality they experience at restaurants. Well-traveled, more culturally informed students required options that reflect their diverse background rather than just traditional American staples. The movement in recent years toward green living has amplified the desire for more sophisticated meals. Students expect healthy options that aren’t short on flavor and sustainable practices that improve the community as a whole. 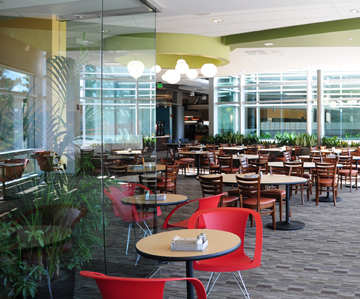 In the competitive marketplace of higher education, dining facilities are a significant component in recruiting students to a school and in retaining students living on campus. Creating a dining facility that offers more than just a good meal is key to pleasing picky students and encouraging them to stay on campus. 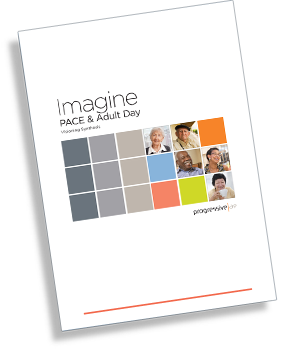 When properly planned, these facilities are an extension of the learning environment. 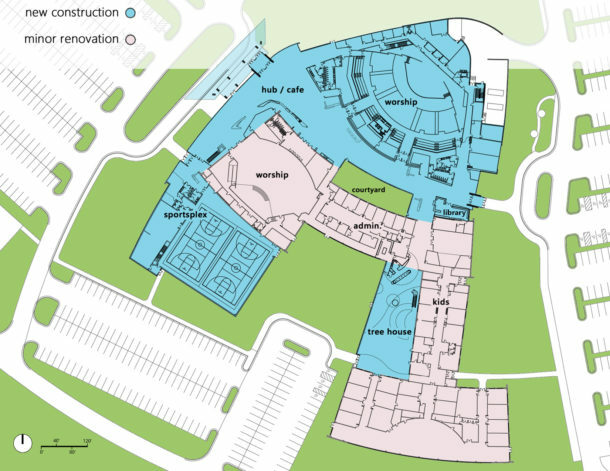 Food is a natural way for people to come together, and the successful dining facilities of the future will offer a place where students and faculty can eat, learn, collaborate, and relax together in a variety of environments. 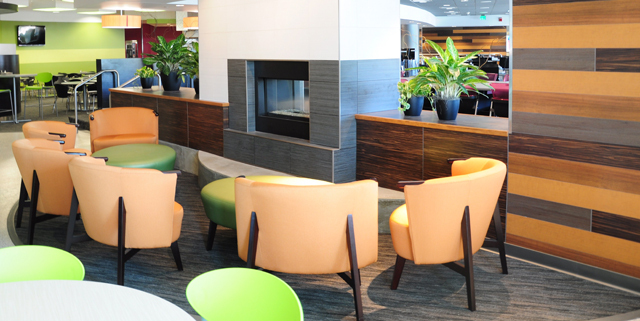 As such, dining facilities can offer a return on investment, not just through their own efficiency but also through the broader context of building a college or university’s brand. Branding is vital for all colleges and universities, and the entire campus plays into that. Before beginning a design project, a successful architect and engineer will get to know a school’s brand and culture in order to create a design that not only matches but enhances the institution’s spirit. Food can draw people together, represent a culture, and contribute to a relationship. 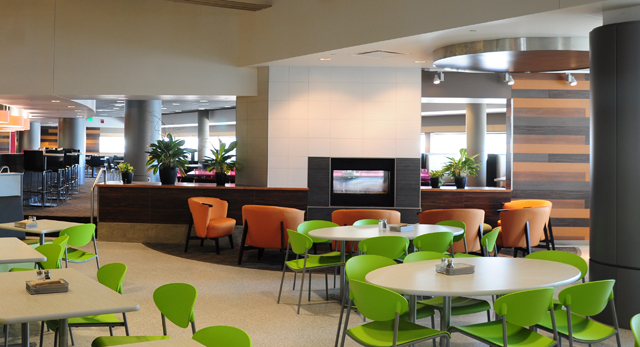 The college/university dining space should make students feel at home, especially for those who are away from their actual homes for the first time. By serving a variety of food and creating different atmospheres, the dining experience provides comfort for today’s diverse student population.